Have you ever suffered the same problem like Daniel? Equipped with the pixel count and Exmor RS sensor, Sony Xperia phones are used by many people as a great substitute for digital cameras to capture excellent photos and videos. However, problem is that data loss of Sony Xperia may often happen due to deletion, system crash, rooting error, ROM flashing, factory reset, virus attacking and many more issues. In this case, you simply need Jihosoft Android Data Recovery to help you recover deleted photos from Sony Xperia phones. Note: When you realize that you have deleted photos from Xperia by mistake, immediately stop using your phone to take more pictures or record videos. Or the further data will overwrite your deleted photos. Install and run a free trial version of this Sony Xperia Photo Recovery software into your computer. Select the file type you need restore. Then connect your Sony Xperia device to the computer with USB cable and enable the USB debugging. After your Xperia is detected by the computer, click “Start” to scan deleted or lost pictures on your Sony device. After a while when the scan is completed, preview the found files and mark the ones you’d like to get back. 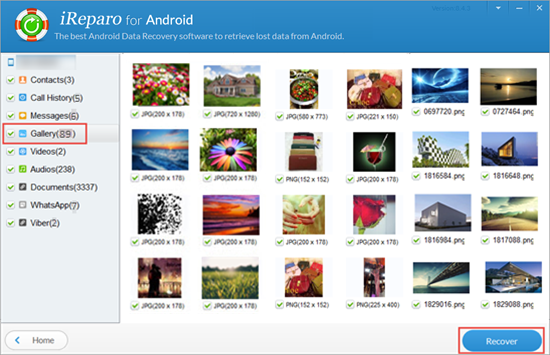 At last, click “Recover” to recover photos and videos from Sony Xperia phone. Tip: You’d better save the recovered photos and videos on your computer or other external hard drives, but not save them on your Sony Xperia phone or the memory card again. Recover deleted photos stored on both the Sony Xperia internal memory and external memory card. The software supports Sony Xperia phones including: Xperia XA1, Xperia XZs, XZ Premium, Xperia XA Ultra, Xperia X, Xperia XZ, Xperia E5, Xperia XA, Xperia Z5, Xperia M5, Xperia C5 Ultra, Xperia Z4, Xperia ZL, Xperia Z, Xperia E, Xperia T, Xperia TX, Xperia SL, Xperia J, Xperia TL, Xperia U, Xperia P, and more. 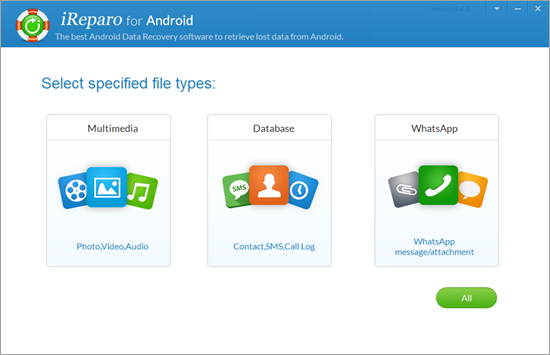 This Android Data Recovery software also supports other Android brands like Samsung, HTC, LG, HUAWEI, OnePlus, Motorola, Lenovo, ZTE, Google, etc.